Protecting natural and without side effects. 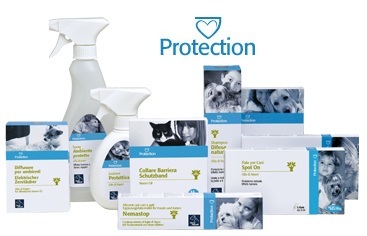 particularly suitable for puppies, older animals, convalescing, pregnant and lactating animals in contact with children. Double effect: soothes irritated skin and provides additional protection. Farewell to unrest caused by insect bites. Shielding effect on the fur. The impeccable cleanliness of the hair joins an invisible cloak of protection against external agents.